On July 14th, I sent out a newsletter in honour of Malala Day. I offered to donate 50% of my pattern sales from the 14th and 15th to the Malala Fund. In just 2 days, you bought over 130 patterns. This means that 50% of those 130 pattern sales comes to $350. I'm going to kick in an another 25. 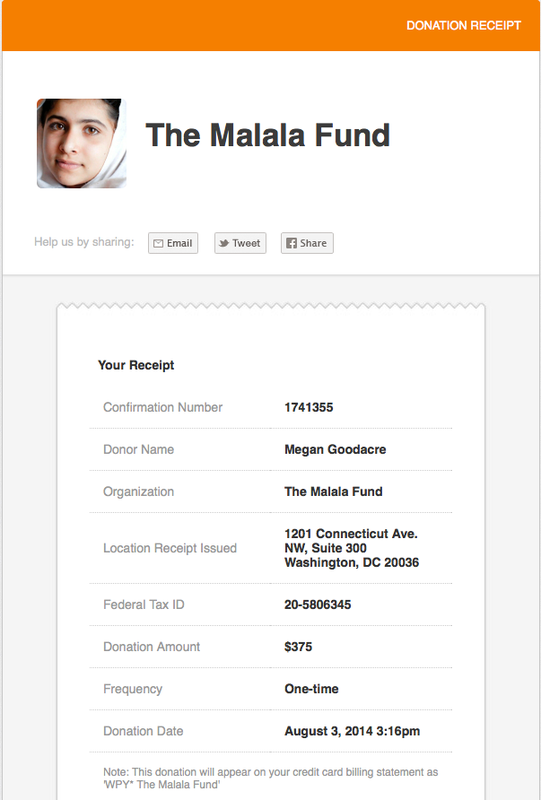 So by working together, we are giving 375 (US$) to the Malala Fund. And voila! It's done! We did it! Good feelings will be woven in to your knitting.